NEW DELHI/ITANAGAR, Apr 2: The Armed Forces (Special Powers) Act, which gives sweeping powers to security forces, was partially removed from three of nine districts of Arunachal Pradesh, but will remain in force in the areas bordering Myanmar, officials said in New Delhi. The AFSPA will, however, continue to be enforced in Tirap, Changlang and Longding districts and areas under the jurisdiction of Namsai and Mahadevpur police stations in Namsai district, Roing in Lower Dibang Valley district, and Sunpura in Lohit district till 30 September. The home affairs ministry said in a notification that the four police station areas in Arunachal Pradesh which had been declared “disturbed areas” under the AFSPA are no longer under the purview of the special law from Sunday. The police station areas from where the AFSPA has been withdrawn are Balemu and Bhalukpong police stations in West Kameng district, Seijosa police station in East Kameng district, and Balijan police station in Papum Pare district. Speaking to this daily, MoS for Home Kiren Rijiju termed the move of reduction of AFSPA historic. “There has been a drastic reduction in violence along the Assam-Arunachal boundary areas where the AFSPA was in place. This led to rethinking, and the result is the complete withdrawal of the act, barring three districts. This is an achievement and every Arunachalee deserves appreciation for it,” said Rijiju. He informed that central forces along with the state police are working hard to ensure free and fair elections in the troubled districts of Tirap, Changlang and Longding. 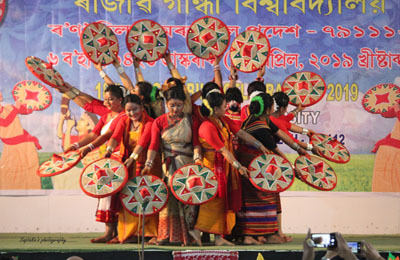 A home ministry official said the “disturbed area” tag has been withdrawn from the four police station areas due to the improvement of law and order situation there but it will continue in other areas in view of continuing activities of banned insurgent groups of the Northeast. 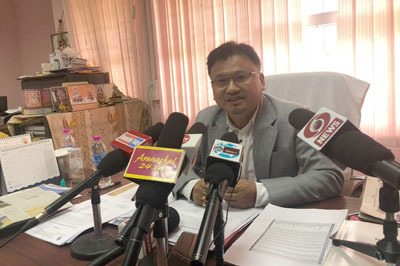 A review of the law and order situation in Arunachal Pradesh’ six districts was undertaken before the 31 March deadline for the validity of the “disturbed area” designation under the AFSPA. In March last year, the AFSPA was removed completely from Meghalaya following improvement in security situation.